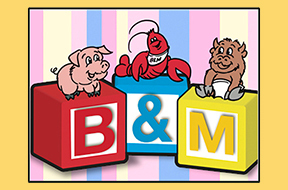 B&M is a full-service catering company based in New England. We provide hot meals to numerous Head Start programs, child care centers, private schools and community action programs. We realize the importance of a quality school lunch plan and how difficult it can be to administer when trying to provide a balanced meal at an affordable price. We understand too, how extremely important school lunches are because a school meal is often the only hot, nutritious meal some children receive. As a company, we are quite familiar with and involved in the CACFP program. Our menus adhere to the strict CACFP/USDA standards, and our nutritionist/dietician creates healthy menus that the kids love.